Is this your first time visiting this site? If so click on the First Time Visitor link to learn how to register and navigate ainsworth1984.org. Check out our Photo Gallery! The gallery allows you to add your own photos to it. 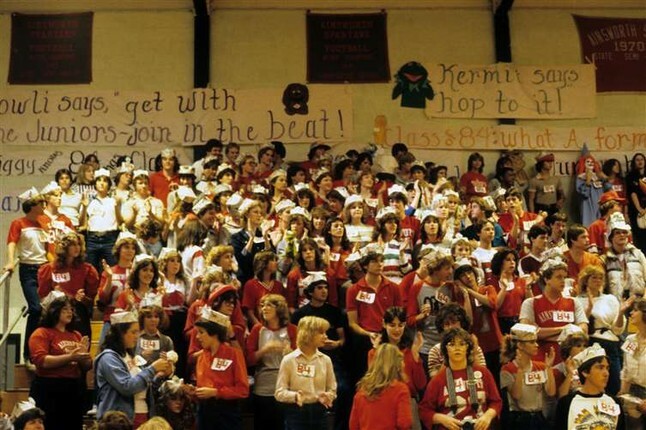 If you have any photos from our high school years that you have scanned (who knew what a digital camera was in 1984) you can add them to the High School Years gallery. You may also add any reunion photos you have to the appropriate reunion gallery. Let me know if you have any suggestions for other gallery topics you would like added. Welcome to the Ainsworth High Class of 1984 Web Site! Can you find your face in the crowd?